Discover magical mountains and secret glens with shimmering lochs and hidden waterfalls, perfect for a summer swim. Explore lost ruins and castles, watch sea-bird colonies on dramatic cliffs or walk barefoot on white-sand beaches lapped by turquoise waters. Wild camp in flower-covered dunes and retreat to ancient inns with roaring fires and even warmer welcomes. 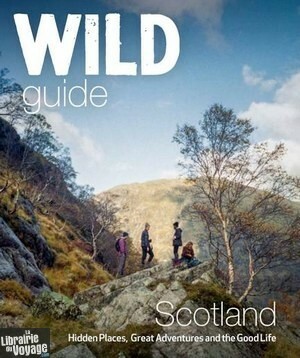 In this inspiring compendium you will find the best of Scotland’s unspoiled Highlands and Islands. Featuring stunning photography and engaging travel writing, this is the perfect guide for those seeking a wild adventure. Un superbe guide en anglais sur l'Ecosse, il vous emmène vers des coins de nature somptueux, où l'on peut nager, randonner ou juste profiter du calme.